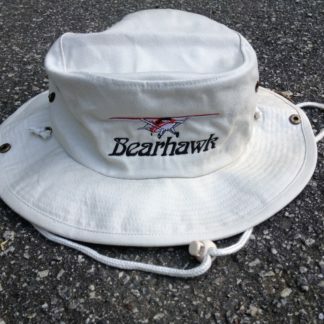 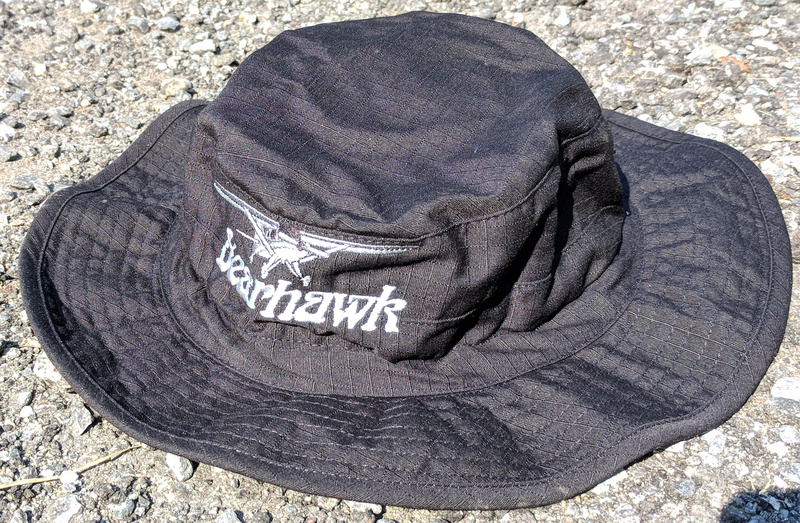 Bearhawk folks always appreciate function, and this hat is highly functional. It starts with a Tru-Spec Gen II Adjustable Boonie Hat that is made with a lightweight but durable ripstop fabric. 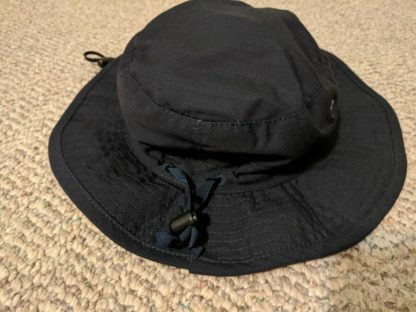 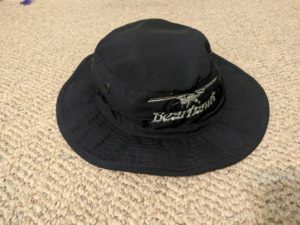 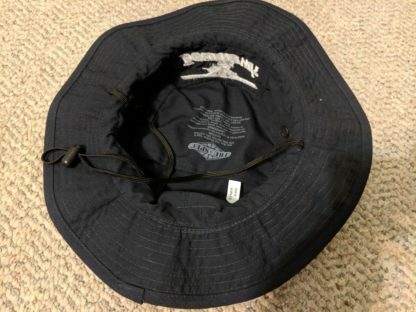 The fabric has been treated to make it water repellent, and there is a drawstring in the back to adjust the fit of the hat. 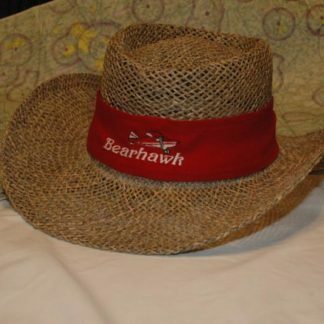 There is also a chinstrap to help keep the hat in place for those days when you probably shouldn’t be flying. 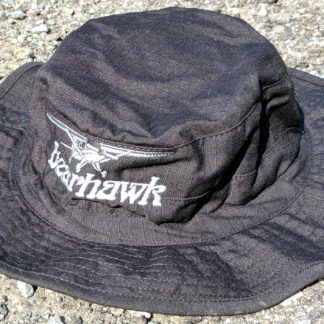 For the black and navy hats, we’ve used thread colors that are shades of silver, black, and gray, to give the hat a more subdued artwork. 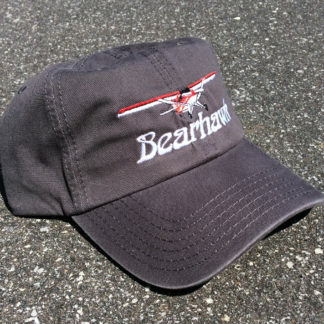 The green hats use a red and white airplane. 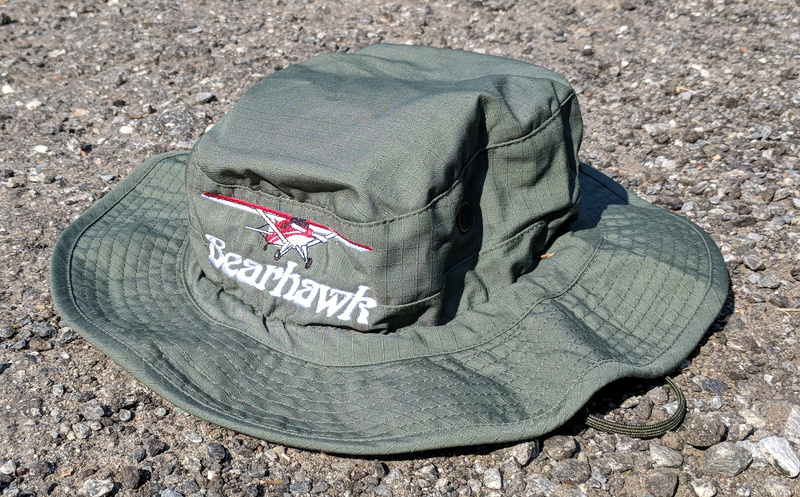 It’s “one size fits most,” and about the same size as our full-brim Aussie hat.